Thirteen hospitals in Texas have closed since 2010, the most of any state. There’s much more to the men and women who lead our rural hospitals than meets the eye. Inside, deeper down, they have grit, true grit, and they have it in spades. In our feature article, we dig into how the everyday heroes at Eastland Memorial are living up to a simple promise: “People you know caring for people you love.” As you read on, we think you will see that, like the people who keep it, there is more to this promise than meets the eye. Most often, survival precedes success and success, once attained, means survival is no longer an issue. Not so when it comes to rural hospitals; success, no matter how great, does not guarantee survival. Successfully delivering the care patients need and expect just doesn’t pay enough. This dilemma is “situation normal” for rural hospitals across the country, which forces leaders like Ted Matthews to do whatever they can to find alternative funding and be as frugal as possible when it comes to spending money. 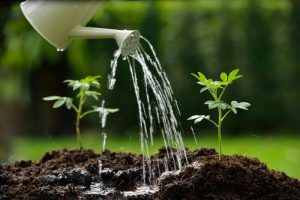 Tapping alternative sources of funding takes a good deal of determination, extraordinary diligence, teamwork, and in many cases, a high tolerance for risk. Like many rural hospitals, Eastland Memorial has taken advantage of Medicaid Waiver programs, and the Nursing Home Upper Payment Limit (UPL) program (which morphed into the Minimum Payment Amounts Program – MPAP). How Eastland Memorial capitalized on the alternative funding opportunities presented by the Medicaid Waiver program highlights the foresight, grit and determination needed to survive. Medicaid Waiver programs have been essential to Eastland Memorial ‘s survival for the uncompensated care it is constantly delivering. “It’s not uncommon to have a 22-24% uninsured rate in rural areas. It’s our mission to take care of people, so when those individuals come into our ER or hospital, that’s what we do,” Ted said. Taking advantage of the Nursing Home UPL program (which became MPAP) was a riskier proposition than the Medicaid Waiver programs. For Ted and the Eastland board, they had to assess the risk of putting up the hospital’s money in order to qualify for federal funds. The impact on cash flow was of greatest concern. The details of how the program works will be familiar to most of our readers, but the long and short of it is a hospital agrees to be accountable for improving and maintaining the level of care seniors receive in nursing homes. Which means any nursing home within a 150-mile radius of the hospital can agree to let the hospital provide oversight. In exchange for meeting the standards of care set forth in the program, and by putting up it’s own money, the hospital qualifies for a reimbursement that is 30 – 40% more than the original amount initially put aside. The hospital then can recoup its investment and decide how to spend the extra amount. How will we bridge the gap? Just when you would think the team at Eastland Memorial could relax and enjoy the success they had achieved, the government decided to end the program. It ceased being in effect as of August 2016. A new program called Quality Incentive Payment Program (QIPP) will be in place as of September 1, 2017 but in the meantime, the hospital has been left with a risky choice between continuing meeting its nursing home obligations without compensation or dumping the whole thing and picking up the new program when it finally arrives. True grit also means managing the gap in funding created by the ending of the MPAP program 12 months before the replacement QIPP comes on stream. Because of the timing of the reimbursements from MPAP, a six to seven month delay, Eastland Memorial received its last draw down in February. That means six months of no money from the government for maintaining care quality in nursing homes… not to mention the additional funds essential to meet the hospital’s operating deficit. When your reserves are drained and you are uncertain about how well the replacement program will work for your hospital, the order of the day is cash flow management.“We have nursing homes relying on us so cash management is huge. We are sitting here juggling accounts, shutting off lights and turning down the thermostats. I mean, we were watching every penny until we got those funds back,” Ted said. But, success is one thing and survival quite another. The only thing the patients of every rural hospital can count on, come what may, is the true grit of people like Ted Matthews and his team at Eastland Memorial Hospital. 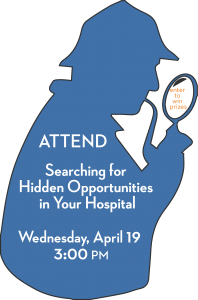 Wednesday, April 19th at 3pm, Brant Couch President of HealthSure will be moderating, Searching for Hidden Opportunities in Your Hospital, at the TORCH Annual Conference in Dallas. As the world around us continues to evolve keeping things simple is essential. Sound familiar? Yes indeed, these are the same challenges you have faced before. The order of priority may shift from year to year but these five are always on your plate. Our panel will take a closer look at each of them to help you find the hidden savings in your hospital. We are looking forward to seeing you April 19th. Along with learning about these hidden opportunities, attendees will have the opportunity to win Yeti Tumblers. Financial incentives are changing from a focus on volume-based services to value-based services. There is a concurrent need to better measure and account for quality of care in all settings and improve transitions of care as patients move from one care setting to another. 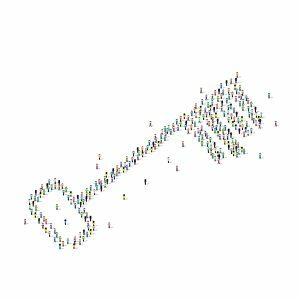 Advances in technology and new approaches to organizing care delivery are occurring quickly, with examples like the patient-centered medical home, accountable care organizations, and patient-safety organizations. Most early adopters of new care models have been large, urban-based integrated delivery systems. Less is known about how these changes and environmental factors will affect rural healthcare delivery systems. Because rural healthcare providers are often paid outside of the traditional prospective payment systems and fee schedules, there is less known about how new and emerging models might function in rural communities. As a result, policy makers and rural providers need to better understand the implications of new and emerging models for low-volume rural settings. On March 24, 2017, Republican leadership in the U.S. House of Representatives withdrew the American Health Care Act—their proposed legislation to repeal and replace the Affordable Care Act (ACA). A House vote was scheduled to take place on that day, but House Republicans could not secure enough votes to approve the legislation and, instead, canceled the vote. As a result, the ACA will remain in place at this time. 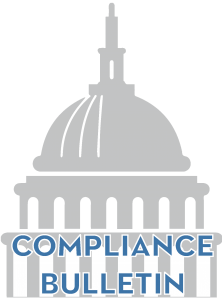 Because the House was unable to pass the American Health Care Act, the ACA remains current law, and employers must continue to comply with all applicable ACA provisions. President Donald Trump has indicated that he would not continue to pursue an ACA repeal if the American Health Care Act could not be passed. Both President Trump and House leadership have stated that they now intend to focus on other issues. Despite this, Congress may choose to pursue their own ACA repeal and replacement in the future. Two separate bills that make up the American Health Care Act were released in response to a budget resolution passed by Congress on Jan. 13, 2017. The budget resolution is a nonbinding spending blueprint that directs House and Senate Committees to create federal budget “reconciliation” legislation. To become law, budget reconciliation bills must go through the legislative process. However, a budget reconciliation bill is generally filibuster-proof, and can be passed by both houses with a simple majority vote. A full repeal of the ACA cannot be accomplished through the budget reconciliation process. A budget reconciliation bill can only address ACA provisions that directly relate to budgetary issues—specifically, federal spending and taxation. A full repeal of the ACA must be introduced as a separate bill that would require 60 votes in the Senate to pass. Debate on the American Health Care Act began on March 8, 2017. To address concerns raised by both Democrats and fellow Republicans, the House Republican leadership released amendments to the legislation on March 20, 2017, followed by a second set of amendments on March 23, 2017. The House vote was originally expected to take place on March 23, 2017, but was delayed for one day, until March 24, 2017. Following the announcement that the House vote would be delayed, President Trump stated that he would not continue to pursue an ACA repeal if the House could not pass this legislation. As a result, the ACA will remain in place at this time. However, Congress may choose to pursue their own ACA repeal and replacement in the future. Age rating restrictions would also continue to apply, with the age ratio limit being revised to 5:1 (instead of 3:1), and states would be allowed to set their own limits. The ACA imposes both an employer and individual mandate. The American Health Care Act would have reduced the penalties imposed under these provisions to zero beginning in 2016, effectively repealing both mandates (although they would technically still exist). However, beginning with open enrollment for 2019, the American Health Care Act would have allowed issuers to add a 30 percent late-enrollment surcharge to the premium cost for any applicants that had a lapse in coverage for greater than 63 days during the previous 12 months. The late-enrollment surcharge would then be discontinued after 12 months. The ACA currently offers federal subsidies in the form of premium tax credits and cost-sharing reductions to certain low-income individuals who purchase coverage through the Exchanges. The American Health Care Act would have repealed both of these subsidies, effective in 2020, and replace them with a portable, monthly tax credit for all individuals that could be used to purchase individual health insurance coverage. The American Health Care Act would have also repealed the ACA’s small business tax credit beginning in 2020. In addition, under the Act, between 2018 and 2020, the small business tax credit generally would not be available with respect to a qualified health plan that provides coverage relating to elective abortions. Increased the maximum HSA contribution limit: The HSA contribution limit for 2017 is $3,400 for self-only coverage and $6,750 for family coverage. Beginning in 2018, the new law would have allowed HSA contributions up to the maximum out-of-pocket limits allowed by law (at least $6,550 for self-only coverage and $13,100 for family coverage). Allowed both spouses to make catch-up contributions to the same HSA: The new law would have allowed both spouses of a married couple to make catch-up contributions to one HSA, beginning in 2018, if both spouses are eligible for catch-up contributions and either has family coverage. Addressed expenses incurred prior to establishment of HSA: Starting in 2018, if an HSA is established within 60 days after an individual’s HDHP coverage begins, the HSA funds would have been able to be used to pay for expenses incurred starting on the date the HDHP coverage began. Cadillac tax: The ACA imposes a 40 percent excise tax on high cost employer-sponsored health coverage, effective in 2020. The new law would have changed the effective date of the tax, so that it would apply only for taxable periods beginning after Dec. 31, 2025. Restrictions on using HSAs for over-the-counter (OTC) medications: The ACA prohibits taxpayers from using certain tax-advantaged HSAs to help pay for OTC medications. The new law would have allowed these accounts to be used for OTC purchases, beginning in 2017. Increased tax on withdrawals from HSAs: Distributions from an HSA (or Archer MSA) that are not used for qualified medical expenses are includible in income and are generally subject to an additional tax. The ACA increased the tax rate on distributions that are not used for qualified medical expenses to 20 percent. The new law would have lowered the rate to pre-ACA percentages, effective for distributions after Dec. 31, 2016. Health flexible spending account (FSA) limit: The ACA limits the amount an individual may contribute to a health FSA to $2,500 (as adjusted each year). The new law would have repealed the limitation on health FSA contributions for taxable years beginning after Dec. 31, 2016. Additional Medicare tax: The ACA increased the Medicare tax rate for high-income individuals, requiring an additional 0.9 percent of wages, compensation and self-employment income over certain thresholds to be withheld. The new law would have repealed this additional Medicare tax beginning in 2023 (delayed from 2017 under the second set of amendments). Deduction limitation for Medicare Part D subsidy: The ACA eliminated the ability for employers receiving the retiree drug subsidy to take a tax deduction on the value of this subsidy. Effective in 2017, the new law would have repealed this ACA change, and reinstated the business-expense deduction for retiree prescription drug costs without reduction by the amount of any federal subsidy. Beginning after Dec. 31, 2016, the new law would have also repealed the medical devices excise tax, the health insurance providers fee and the fee on certain brand pharmaceutical manufacturers. The 10 percent sales tax on indoor tanning services would have been repealed effective June 30, 2017, to reflect the quarterly nature of this collected tax. Finally, it would have also reduced the medical expense deduction income threshold to 5.8 percent (lower than the pre-ACA level of 7.5 percent), beginning in 2017. The American Health Care Act would have repealed the ACA’s Medicaid expansion, and made certain other changes aimed at modernizing and strengthening the Medicaid program. The amendments to the Act made a number of modifications to the proposed Medicaid changes. For example, the new law would have provided enhanced federal payments to states that already expanded their Medicaid programs, and then transitioned Medicaid’s financing to a “per capita allotment” model starting in 2020, where per-enrollee limits would be imposed on federal payments to states. It would have also allowed states the option to implement a work requirement for nondisabled, nonelderly, non-pregnant adults as a condition for receiving Medicaid coverage. The legislation would have also modernized Medicaid’s data and reporting systems, repealed the ACA’s disproportionate share hospital (DSH) cuts and made changes to the process for eligibility determinations. Tend to increase average premiums in the individual market prior to 2020, and then lower average premiums thereafter, relative to projections under current law. This report had caused some concern among both Democrats and fellow Republicans in approving the legislation. The amendments made by House Republican leadership were intended to address these concerns. Because the House was unable to pass the American Health Care Act, the ACA remains current law, and employers must continue to comply with all applicable ACA provisions. Both President Trump and House Republican leadership have stated that they now intend to focus on other issues. Despite this, Congress may choose to pursue their own ACA repeal and replacement in the future. Here we grow again: HealthSure welcomes Briana Carroll to the team! We are pleased to welcome Briana to our team. With a total of 8 years’ experience in customer service Briana will ensure our clients receive exceptional service. Before joining HealthSure in February of 2017, she spent 3 years at Marsh, Inc. as a Certificate Specialist and served as a subject matter expert on large commercial accounts. ©2016 Zywave. All Rights Reserved.